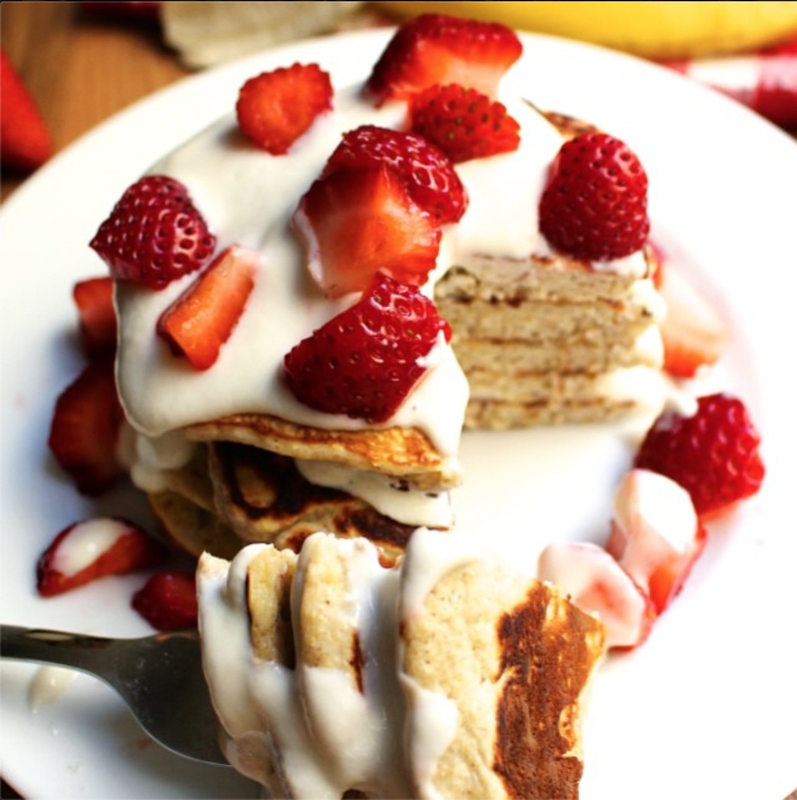 Classic flavor combo for these moist, light and delicious pancakes with a Greek yogurt/protein topping. 1. In a small bowl, blend 3 tbsp yogurt, 1 tbsp protein powder and 1 tbsp almond milk until smooth. Set aside. 2. In a food processor or NutriBullet, mill the oats until they form a fine powder. Add in 1 scoop protein powder, 1/8 tsp baking powder and 1/8 tsp cinnamon. Then mix in mashed banana, egg white and 2 tbsp almond milk until smooth. 3. Heat a griddle or large skillet over medium heat and spray with non-stick cooking spray. Drop pancake batter onto griddle forming 3-4 medium pancakes and cook until the top starts to bubble, then flip and cook the other side. 4. Top pancakes with yogurt mixture and chopped strawberries.